Home › Free Computer Maintenance › Is Windows 7 Faster than Windows Vista? Is Windows 7 Faster than Windows Vista? Are you still running Windows Vista and wondering if Windows 7 would be a faster and more optimized operating system? Windows Vista was designed to be the ultimate replacement for Windows XP which reigned as the dominant Microsoft operating system for years. Though the graphics interface came as a boon for Windows Vista and was seen as something fresh and new there were a multitude of other problems, including speed issues, that forced users to downgrade back to Windows XP. Microsoft recognized the general discontent with Windows Vista and made improvements to their line of operating systems with Windows 7. Many people have not forgotten their bad experience with Windows Vista and rightfully ask if Windows 7 is any faster and more optimized system than Windows Vista. Windows Vista was the standard operating system on all new desktop and laptops for several years which put it front and center of millions of users. Windows Vista was the first Microsoft operating system to featured different tiers of functionality. For example, there is a Basic version of Windows Vista as well as a Windows Vista Ultimate and different shades of the operating system in between. There are certainly differences in the types of Windows Vista that could lead to differences in performance as well problems inherent to your computer that could also affect how optimized your computer is. Windows Vista may be running slowly for your because of one simple problem: RAM. RAM (random access memory) is a memory chip that allows your computer to save all the data you are actively using in a virtual environment. Windows Vista in any version uses more RAM (also known as system resources) than Windows XP and in particular Windows Vista Ultimate uses an enormous amount of system resources. Windows XP only needed 512 megabytes of RAM to run smoothly but Windows Vista Ultimate needs four or more times as much RAM to run smoothly. Find out how much RAM your computer has and determine if you need more if your computer is running slowly. Speed tests conducted by industry experts have determined that Windows 7 is faster in multiple ways and on different platforms than Windows Vista. This comes as good news to those Windows Vista users suffering from a slow computer. A common complaint of Windows Vista users is the boot up time and the time it takes for Windows Vista to return from sleep mode. Some users (you may have experienced this) have reported that it takes up to 2-3 minutes for Windows Vista to start-up and 2-3 minutes for Windows Vista to return from Sleep Mode. 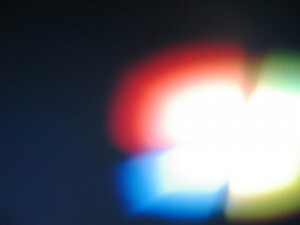 Windows 7 start-up times have been recorded as 30-seconds on faster computers and around 1 minute for normal computers. Windows 7 also returns from Sleep Mode at around 30 seconds for normal computers. You can always optimize your computer by performing Disk Defrag or Disk Cleanup (features that are automated in Free Computer Maintenance). These processes (that are free for you to use) can help optimize your computer by removing clutter on your hard drive and organizing data that helps your computer run more efficiently. Try our free computer maintenance software to automate this process and keep your computer optimized!